An honest, powerful telling of one young mother’s journey to escape poverty, Maid will leave you with much to think about. I was drawn to the story of a young woman trying to lift herself out of poverty. Service workers are a group it can be easy to not think of often enough. Land is from Western Washington, where I also live. Honest Delivery – Stephanie Land’s story of pulling herself up out of poverty is not what you might first imagine. When Stephanie got pregnant she was not a young girl, but a woman of 28. She hadn’t yet done much with her life, but had plans and was getting by. With a child to support and care for, Stephanie slipped into poverty. 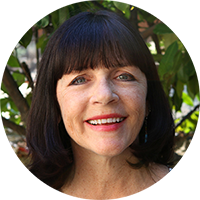 She shared her painful, sometimes embarrassing journey with integrity. She didn’t always look good in her own story. Like the rest of us, Stephanie had shortcomings; she sometimes made bad choices or missed opportunities to improve her situation. Land spoke of her own family and the many problems they had with the same honesty. She didn’t shy away from crediting the people in her life who helped along the way nor showing her frustration toward those who couldn’t or didn’t. The Pain of Needing Help – When Stephanie’s daughter, Mia, was less than a year old circumstances rendered them homeless. She had no choice but to turn to government assisted housing that also included apartments for people being paroled out of prison. She lived with a curfew, a ban on alcohol and random drug tests. Once Stephanie left that housing, she vowed to never be homeless again. She kept that vow, but it meant years of living on the edge, working painful, backbreaking jobs, constantly counting pennies, never having enough, always being one step away from disaster. She lived constantly aware that getting sick for a few days or a car accident could sink her right back into homelessness. Stephanie’s commitment to Mia and her dream of finishing her own education and becoming a writer worked together to keep her going despite all hardships. 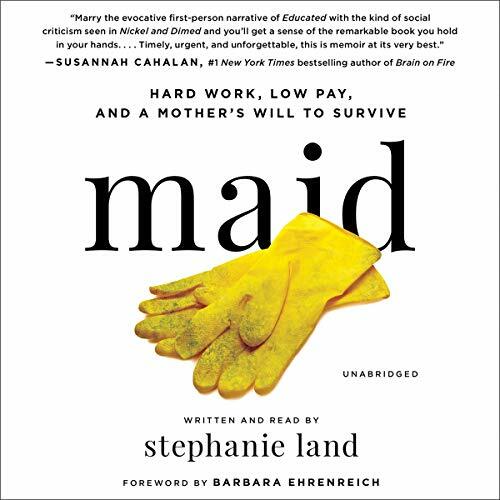 A Book to Make you Think – A big part of Maid was Stephanie talking about her work as a house cleaner. She shared some of the horrors of that job, how little she really made, how physically painful the job was, and how clients treated her. To some she was completely invisible, a ghost in their homes. To others, she became someone they cared about, but either way, she was there to take care of all they didn’t want to do themselves. I have a woman who cleans my house every couple weeks and a man who cares for my yard. I kept thinking about how they might see me. Do I treat them like a ghost? I don’t think so, but could I do a better job of getting to know who they really are? Yes. Could I find better ways to say thank you? Yes. Narration – I always worry when an author narrates his or her own book. So often it can sound grating or amateurish, but that was not the case with Land. She did a wonderful job, with great inflection and pacing that was just right. Repetitive – There were a few times in the second half of the book where I felt like Stephanie got a little repetitious in her anecdotes. It didn’t happen often, so was easily overlooked. I liked this memoir very much! I don’t think Land was trying to make any kind of social statement with Maid, but it happened anyway. She made me think, but didn’t hit me over the head with it, and I so appreciate that. I liked her determination to not only survive, but to make a better life for Mia, to find a way to get an education, and to build the life she dreamed of. The end left me in tears. This one is on my audio list…along with Evicted. Which has been on there for a long time and I need to get to it! I probably should try Evicted, too since I liked this so much. Hope it works or you. Great review Susie, I wasn’t sure I’d be interested in this book but your review has swayed me. I would really like to know how this one ends! Thanks, Renee. Let me know when you read it. Nice review! And reaffirms my decision that this book is not for me. Great review. I have seen a lot of buzz about this one. Thanks, RK. It was a great audiobook. Definitely adding this one to my TBR – great review!! You have put this one more on the radar for me; I hadn’t given it much thought before. And the audio of her reading it sounds good too. Try it on audio. She does a nice job reading her own story. I’ve seen the cover of this book a couple of times now, but never really felt compelled to delve beyond that – however, having now read your review, I’m super interested in this book. I also quite like the idea of Stephanie narrating her own story. Thanks for sharing! I’m so happy to hear my review has you interested. it really was an uplifting, moving memoir. I’ve been thinking about another audiobook and this sounds like it could fit the bill. Thank you for this thorough review- you always make it easy for me to know whether I’ll like the book or not!